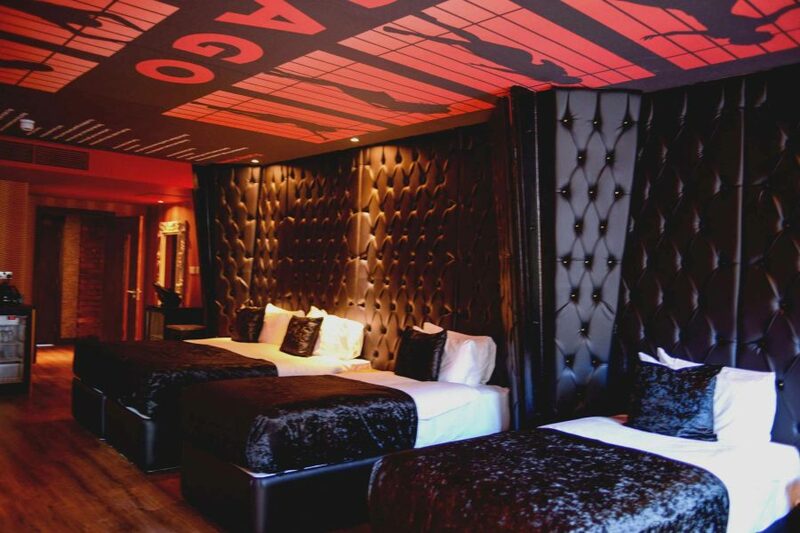 We’re giving it the ol’ razzle dazzle at Arthouse Hotel, as our Chicago inspired room will have you feeling as glamorous as the notorious Roxie Hart. 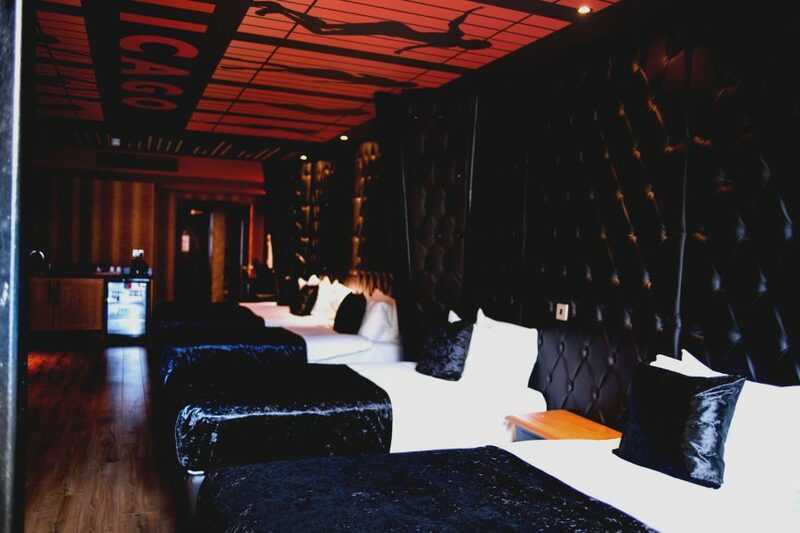 You will never be more than a short walk away from the city’s finest bars, restaurants, shops and attractions, which is just one of many reasons why you should book a stay at our city centre hotel. 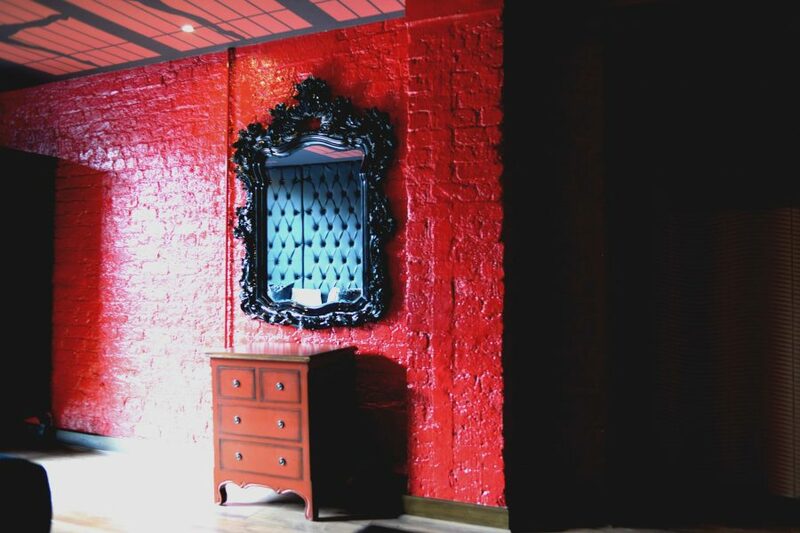 With rooms sleeping up to six people, you and your friends will fall in love with our beautiful rooms that take inspiration from the 1975 musical. Enjoy the comfort of our luxury beds, kitchenette, large screen TV and a relaxing double Jacuzzi bath. You’ll never want to leave. Chicago tells the story of two women from the Jazz scene in prohibition-era Chicago, both accused of murder and awaiting trial on the infamous Murderess Row. Velma Kelly is a nightclub singer who is accused of the murder of her cheating husband and sister, Velma is the unrivalled star of the cell block until Roxie Hart is arrested for the murder of her lover, a crime her husband Amos initially took the fall for. In 1924, Maurine Dallas Watkins was working as a journalist for The Chicago Tribune, during her time at the newspaper she covered the two trials of suspected murderers Beulah Annan and Belva Gaertner. The trials gained unprecedented public attention, thanks in part to Watkins’ sensationalised coverage in her weekly columns. Naming Beulah as ‘the beauty of the cell block’ and Belva as the ‘most stylish of Murderess Row’, the trials formed the inspiration for Brave Little Woman (later Chicago), a play which was to become the inspiration for the iconic musical that spawned one of the most popular musical films of all time. The script was written as a class assignment while Watkin studied at Yale Drama School but Chicago debuted on Broadway in December 1926 and ran for 172 performances. Watkins’ play was transformed into the hit musical in 1975 by Bob Fosse after his wife, Gwen Verdon, a well-known American actress and dancer, read the play and begged him to take on the project. Watkins initially repeatedly turned down Fosse’s request for the rights to the play, but following her death in 1969, Fosse took on the project. Chicago debuted in 1975 at the 46th Street theatre on Broadway and ran until 1977, totalling 936 performances. The original performance received mixed reviews after being criticised for breaking the fourth wall and ‘attacking celebrity culture in America’. When the show failed to impress at the Tony Awards, and with leading lady Gwen Verdon in need of vocal surgery, the producers considered closing the show, thankfully, Liza Minelli stepped up for the part of Roxie Hart for a month, boosting popularity and allowing the show to continue until Gwen Verdon recovered. Chicago travelled to London’s West End in April 1979 and ran for 600 performances. Chicago’s West End debut gained a much better reception than its American counterpart, earning the lead actors, Ben Cross (Billy) and Antonia Ellis (Roxie), Laurence Olivier Award nominations and the musical, Musical of The Year nomination. In May 1996, Chicago was revived off-Broadway by City Centre Encores! and directed by Walter Bobbie, receiving rave reviews and setting the groundwork for a move to Broadway. In November 1996, Chicago opened its doors once more on Broadway and has been running ever since, the second longest-running musical ever on Broadway. In 2014, the show had performed 7,486 times in New York, overtaking Cats to gain second place. The Broadway revival earned six Tony Awards, more than any other revival at the time. The film adaption was released in cinemas in December 2002, directed by Rob Marshall with a screenplay adapted for the silver screen by Bill Condon from Bob Fosse’s book. Renee Zellweger and Catherine Zeta-Jones stole hearts across the world as Roxie Hart and Velma Kelly, while Richard Gere took on the role of Billy Flynn. Earning rave reviews and gross over $300 million worldwide, the film peaked at number three in the Box Office Charts. Chicago, along with Moulin Rouge! and Eminem’s 8-Mile were credited with catapulting musical films back into the limelight. Earning a whopping six Oscars, two BAFTAs, three Golden Globes and three Critics Choice Awards, the movie became Miramax’s highest grossest film when it’s domestic box office takings hit over $170 million and has gathered a cult following among musical aficionados.